I'd been looking for sometime to find a suitable item to form a Grip on Deadman's Hill up on Nidderdale. Having travelled along the A64 several times this year it suddenly dawned on me that they were replacing the safety barriers. Unable to make email contact with the Highways England, I decided to call the help line for the operation. This was to be the stuff of sliced bread, I managed to get hold of the company ( and a contact name ) actually doing the work. That turned out to be Roocrofts of Preston. I eventually spoke to Paul, and explained what I was looking for and what they were needed for. Arrangements made, met Jezz and Duncan at about 8pm, loaded up the old scrap barriers and headed off up to Nidderdale. 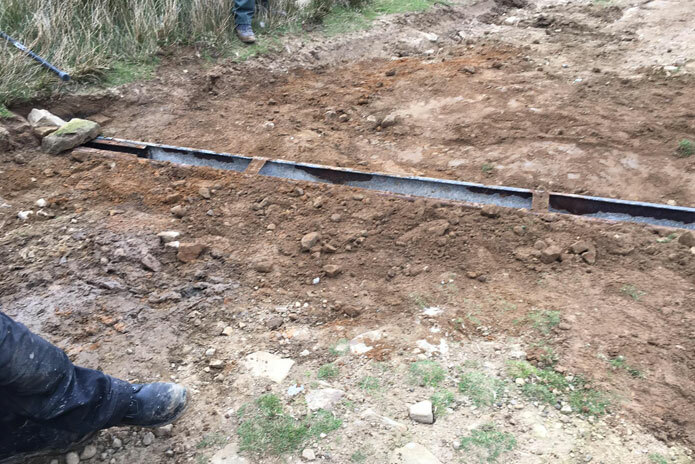 Working closely with the farmer, who uses the route to access his land, we fitted the grips. 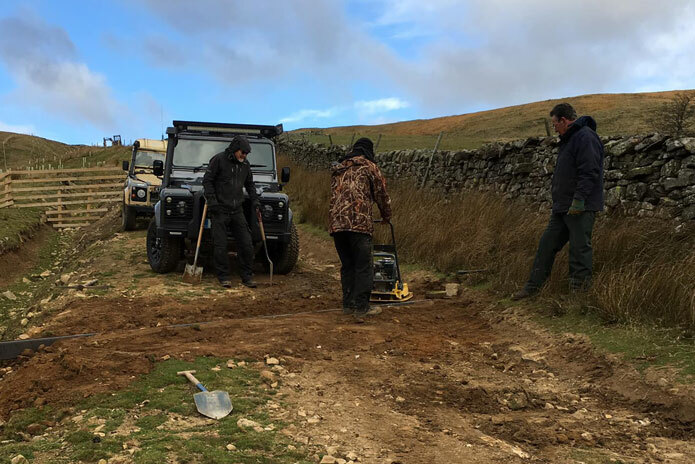 Following a request from the landowner for volunteers to help repair his access track, the final phase of work started on Deadman's Hill. A big THANK YOU, to our members for the input today, it was hard work but good fun.